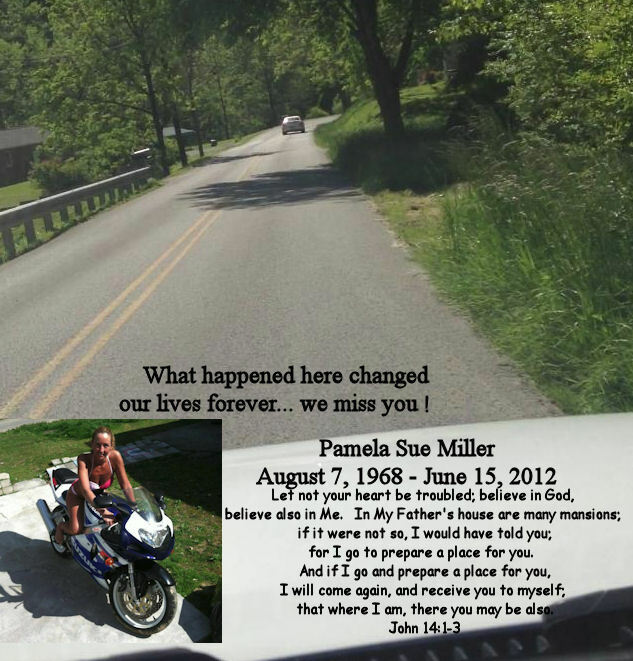 It's hard to believe it's been a year since my sister was killed in a motorcycle accident. Today has been a tough day, to say the least. 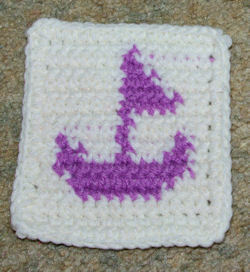 Sometimes our crochet projects require a cording or a tie string. ever tried making "lucet cord"? Years ago I started a doll that had two dolls in one . and haven't been able to find another pattern since. download a pattern for a crochet Harley Motorcycle Jacket. Could you possible forward that link to me. I would be very appreciative. The proverbs of Solomon the son of David, king of Israel: to know wisdom and instruction, to discern the sayings of understanding, to receive instruction in wise behavior, righteousness, justice and equity; to give prudence to the naive, to the youth knowledge and discretion, a wise man will hear and increase in learning, and a man of understanding will acquire wise counsel, to understand a proverb and a figure, the words of the wise and their riddles. The fear of the Lord is the beginning of knowledge; fools despise wisdom and instruction. And He said to him, "You shall love the Lord your God with all your heart, and with all your soul, and with all your mind. This is the great and foremost commandment. The second is like it, You shall love your neighbor as yourself. On these two commandments depend the whole Law and the Prophets. If I speak with the tongues of men and of angels, but do not have love, I have become a noisy gong or a clanging cymbal. And if I have the gift of prophecy, and know all mysteries and all knowledge; and if I have all faith, so as to remove mountains, but do not have love, I am nothing. And if I give all possessions to feed the poor and if I deliver my body to be burned, but have not love, it profits me nothing. Love is patient, love is kind, and is not jealous, love does not brag and is not arrogant, does not act unbecomingly; it does not seek its own, is not provoked, does not take into account a wrong suffered, does not rejoice in unrighteousness, but rejoices with the truth; bears all things, believes all things, hopes all things, endures all things. Love never fails; but if there are gifts of prophecy, they will be done away; if there are tongues, they will cease; if there is knowledge, it will be done away. "LOVE IS GOD'S WILL IN ACTION." After being freed from prison Peter came to the house of Mary. Who was the servant girl who, because of her joy, did not open the gate? so there's no bump on the side of it. It can be time consuming to repeatedly count rows when making a large project. Place a stitch marker on every tenth row to make counting the rows easier. I hope I've sent this email to the correct place. If not, I apologize in advance. I wanted to say that I really appreciate the tutorial on your personally designed baby beanie. It's simply precious. I've searched for a baby beanie to crochet, & Yours is so pretty. 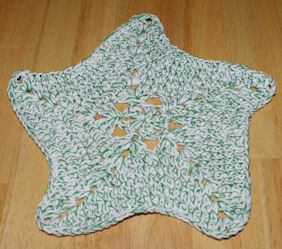 I want to crochet some of the beanies, & I'd also like to crochet some for preemies. How would I modify the pattern to fit a preemie size? Yes, this is the correct place to email. This is great! Beautiful work! 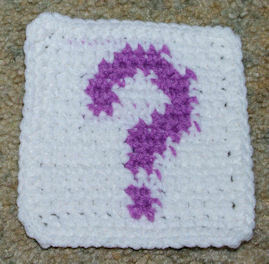 How would you do the﻿ corners of a granny square with this? 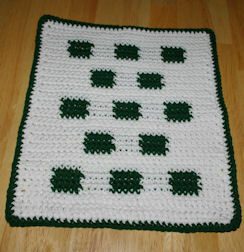 For a granny square or any other motif that includes chain spaces along the edge I would work single crochet stitches evenly around the entire motif first... then work the double ruffle. I am going to make your summer Scarf for myself. I am a large woman and would like to increase the width. Can you please tell me in what multitudes I would have to do that? making your foundation chain a multiple of 5 + 2. The pattern mentions the "hump." What is that? It's a term I've never heard. and on the back there is a little hump. it looks like a little row of humps... work into those humps. I specify to work in the "hump of the chain" in many of my patterns. 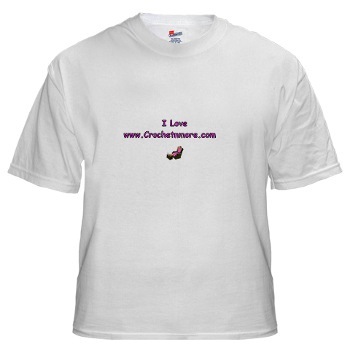 Just had to tell you how fabulous I think your website is!!! Lisa, can you provide a link to a written pattern for the baby beanie on which the videos are based that are in the current Crochet N More newsletter? Thanks for the great newsletters I've enjoyed for so many years. The link to pattern used in each video is listed beneath the video above the comments section. My friend Bob was trying to teach his daughter, Jenny, how to say grace before meals. After a few weeks of coaching, Bob decided Jenny was ready to say grace all by herself. Jenny started out fine, thanking God for her mommy and daddy and brother and sister and for the rolls and the salad, etc. She ended with a big, "Thank you, God, for the spaghetti!" and lifted her head. The tradition in Bob's house, though, was to end each prayer with "In Jesus' name, Amen." So Bob prompted Jenny, "In … "
At first, Jenny seemed confused. Then she proudly exclaimed, "In tomato sauce. Amen." started asking his father some questions. then said, "I don't really know, son." 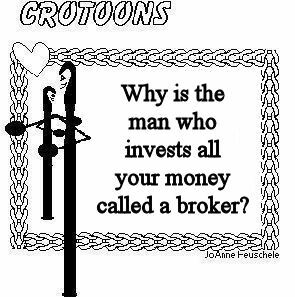 know the answer to that one either." mind me asking questions, Dad?" also owns a 110-pound black labrador named Tony. him on a trip to Montana. if that's really a dog driving." Groggily he asked "What is it?" "The baby," she reminded him. The husband sat up and listened intently. I don't hear her crying," he protested. "I know, and it's your turn to see why not!" husband said happily, "I'd move in with Frank." came Bennie's turn, he held up four fingers. replied, "When I hold up the other finger." night my husband has complained about the food. Not one night without complaining about the food." doesn't like his own cooking?" players a taste of the hardships the pioneers endured. wagon tracks still visible in the dirt. exclaimed, "I'm so glad you like it, Mommy. became obvious we would have difficulty reaching agreement. suggested, "Why don't you just get bunk beds?" must be drunk!" he said. "Every time I move over to let him pass, he slows down. swerving on and off the road for the last fifteen minutes!"